I put together this Romantic Style Tablescape for a couples dinner that I am hosting. I am inviting my husband’s three bothers and their wives to celebrate Valentine’s Day together this year. 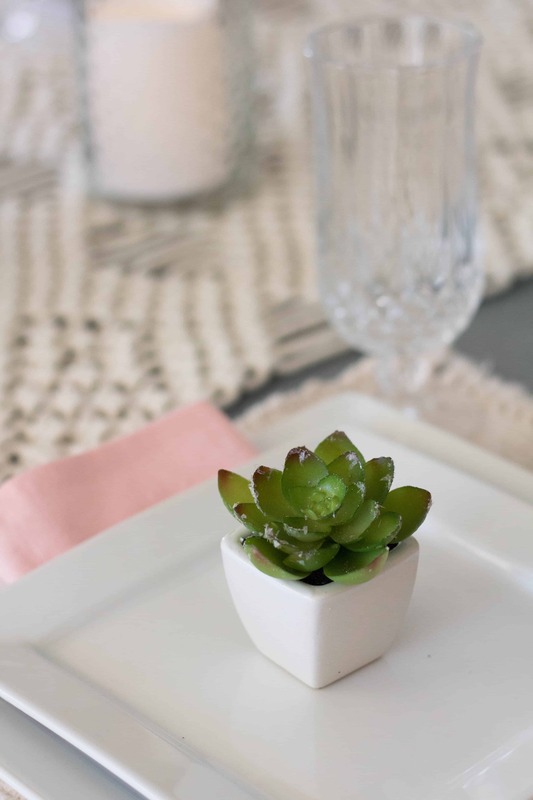 I used mostly white and cream colors with a touch of pink on my table. 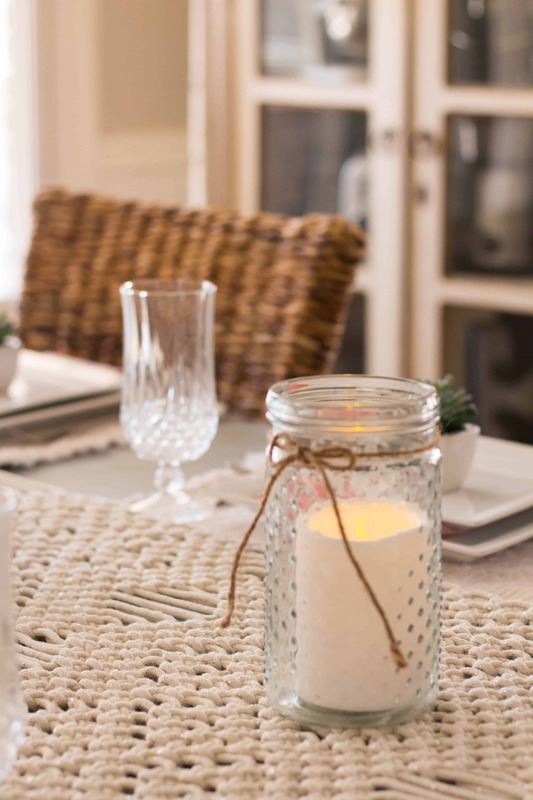 I used hobnail vases with candles for the centerpiece to give the table a romantic feel. 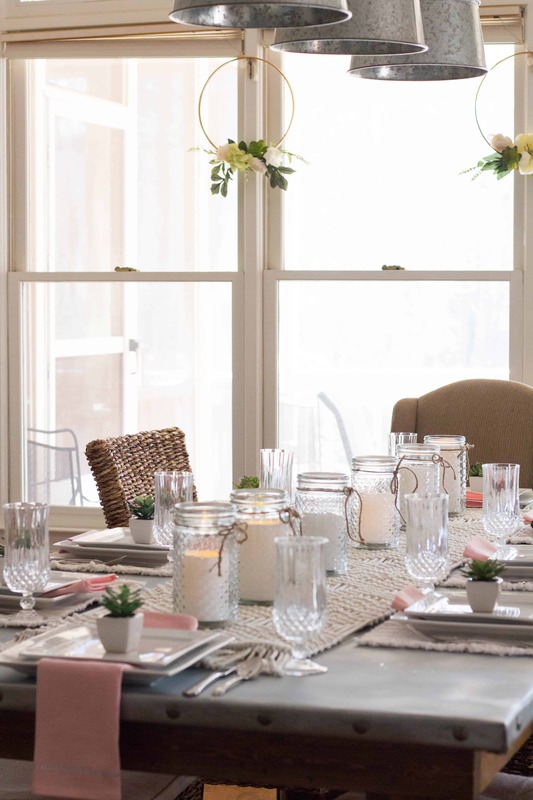 My husband and I wanted to have his three brother’s and their wives who are like sisters to me over for dinner to celebrate Valentine’s Day this year and I wanted to create a romantic style tablescape. I wanted the meal to be as good as if we went out to a fancy restaurant. I did graduate from Culinary School so I was planning to pull out some skills that I learned while I was there. We served filet mignon with an espresso blend rub and topped it with blue cheese compound butter. The recipe will be coming to the blog this month because it is amazing! You can view how we built this DIY zinc top table ourselves. When I style a table for company, I try to use things that I already own. I may purchase one or two things but if you know me, you know that I do not like to waste money or spend money on something that I will only use once. I started with a macrame runner that I purchased last summer. I had some placemats that sort of matched but it was definitely close enough to look good together. I used my white square plates because I think food always looks better on white plates. 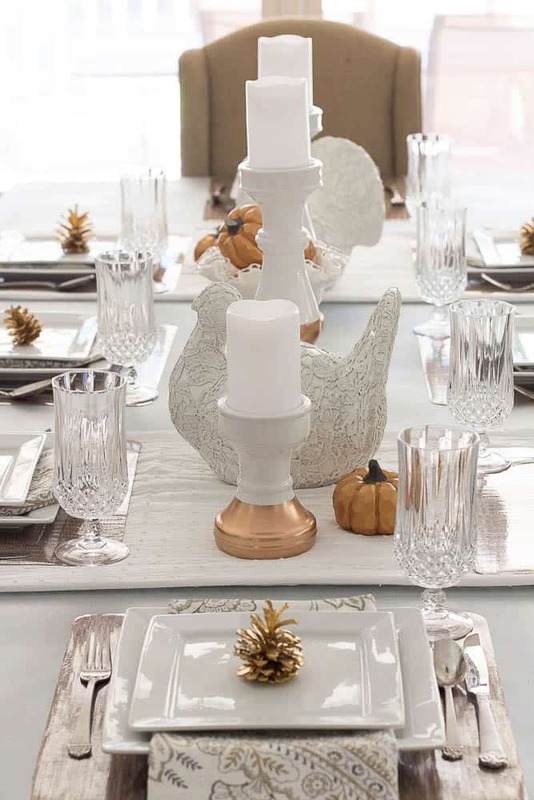 For my centerpiece, I used 6 clear hobnail vases with white candles. I found these vases at a thrift store for $1 each last week. The thrift store is the first place I look when I am looking for something to go on the center of the table because it is the type of item that people use once or twice and then give away. 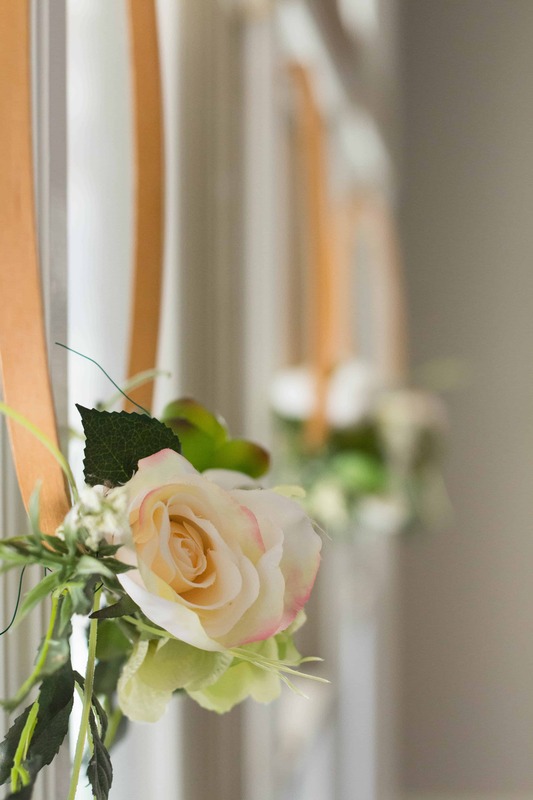 The string bows were already tied on each one so I know that someone was using it for a special occasion. I found these succulents in the 80% off after Christmas clearance at Michael’s so I purchased 8 of them. I figure that I can scrape off the faux snow if I want to use them for summer but he snow on the plants looked perfect for Valentine’s Day. 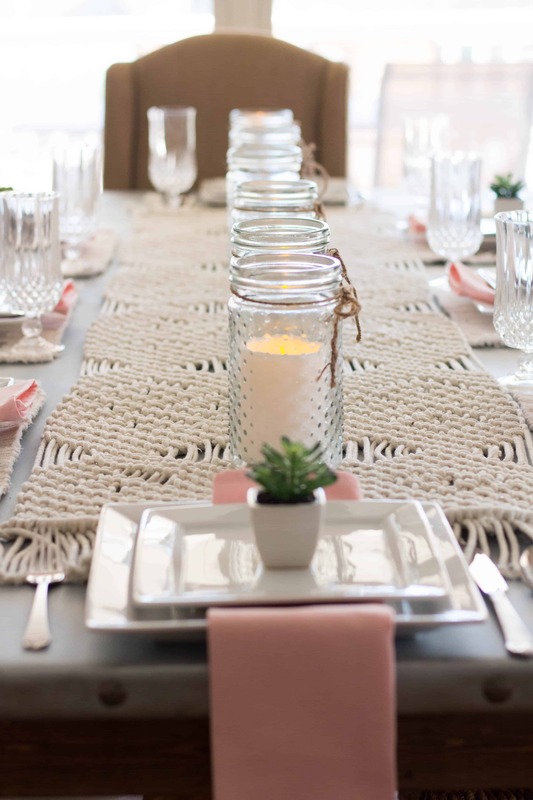 I did purchase new pink napkins for this tablescape because I thought that the table needed some pink plus I know that I will use these napkins a lot all Spring and Summer. 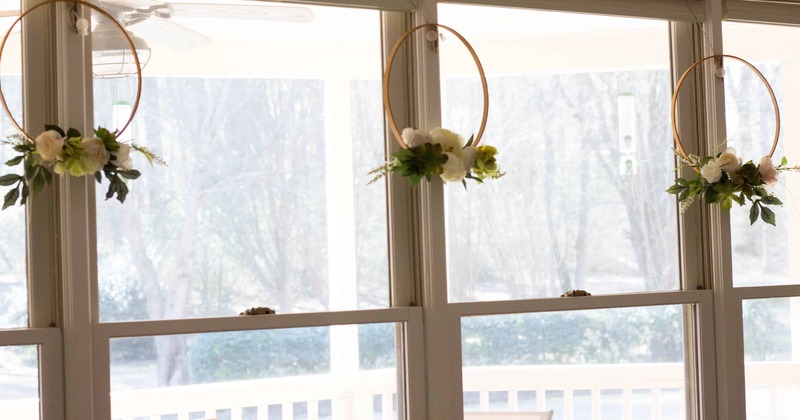 I wanted to make some type of wreaths for my windows so I used some embroidery hoops and some flowers that came from an arrangement of thrifted flowers. 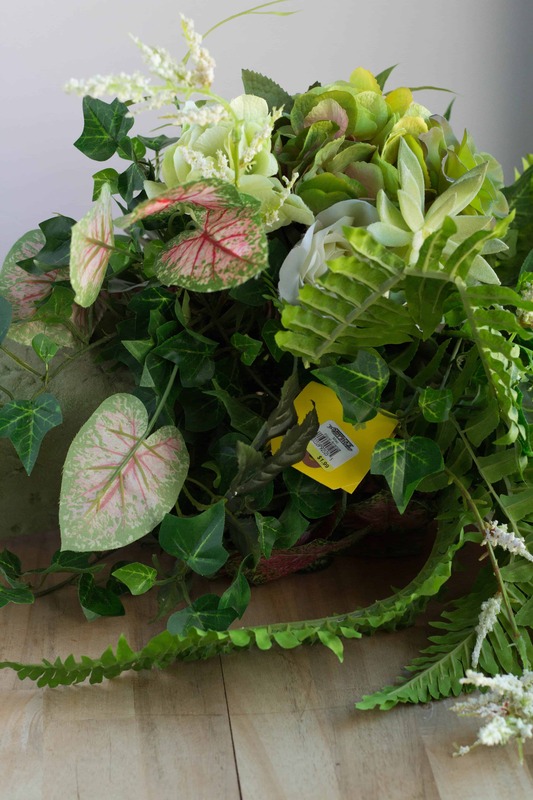 I originally purchased $28 of supplies from the craft store to make some wreaths but I realized that I probably could find these types of flowers and greenery at a thrift store so I purchased this arrangement for $1.99 and returned the $28 of supplies immediately. You can view the tutorial for this project. The romantic style tablescape for our dinner turned out so pretty and everyone enjoyed themselves. It is a little work to entertain but everyone coming together around our table instead of meeting in a noisy restaurant is worth it! 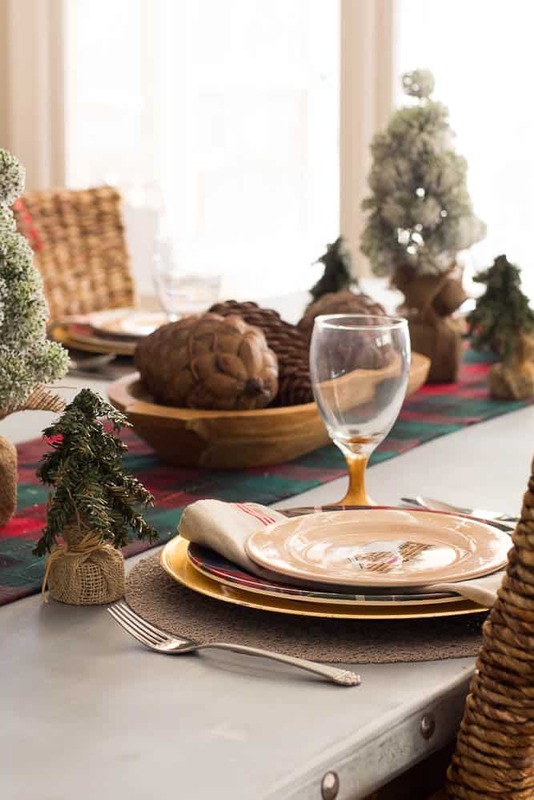 You may also like my other tablescapes. 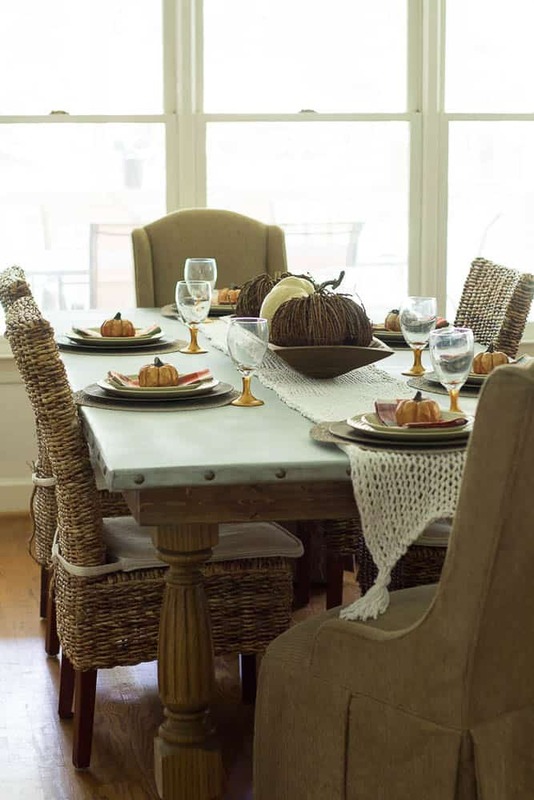 Love this simple, elegant table! I know your guests enjoyed themselves at your dinner. 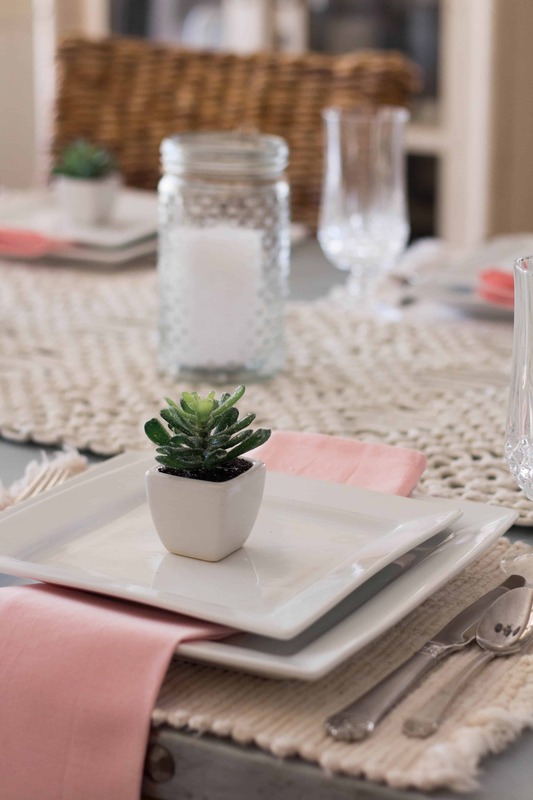 Such a sweet tablescape Sherry. Thank you for sharing at Create, Bake, Grow & Gather this week.